This summer, staff and residents will be fundraising for Barchester’s Charitable Foundation, which supports older people and adults with disabilities. As summer starts in earnest, there is a surge of outdoor fundraising activities. From tea parties and bake offs, to fun runs and obstacle course races, lots of us are keen to raise money for worthy causes while the sunshine lasts. The staff and residents across Barchester Healthcare’s 200+ care homes and seven Independent hospitals are no exception – they come together to raise money for many admirable causes, including our very own Barchester Charitable Foundation. 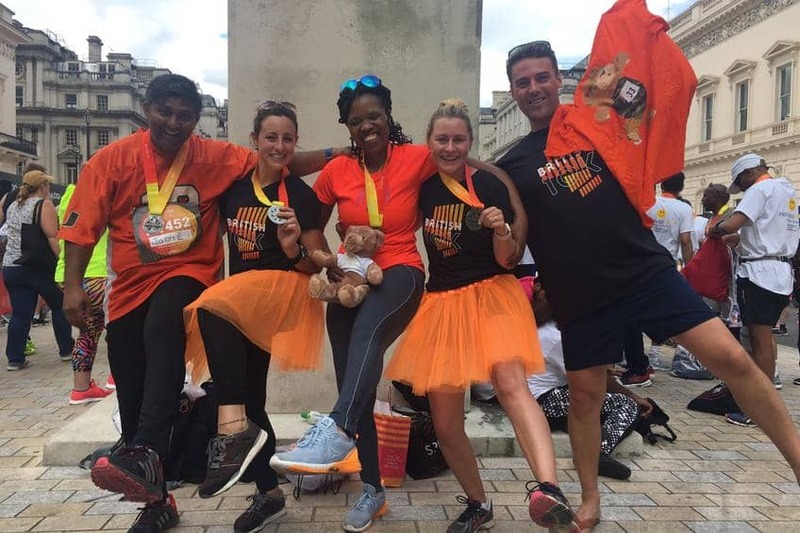 Violet Kotu, RGN and senior regional director at Barchester, donned her running shoes and numbered bib with a group of colleagues to run in the Virgin British 10K London Run on a sunny Sunday in July. Violet explains why she decided to run: “I have been with Barchester for two years and feel very lucky to have such a great team around to help me and mentor me in my career. So I wanted to give something back. In 2000, Barchester set up their Foundation to offer grants to community groups and individuals enabling older people, and other adults with disabilities, to live lives with increased independence, dignity and self-sufficiency. The Foundation looks for and offers grants to enrich lives, help dreams come true and combat social isolation. They help in all sorts of ways: sending over-60s clubs on day trips, paying for a bespoke wheelchair, or offering a respite holiday to a young man with a spinal injury. Anything that helps people to keep active and engaged in their community is considered. Violet trained to be a nurse in South Africa, where she was a community midwife, coming to the UK in 1999 and starting her career in elderly care. “I come from a family of nurses – my mum, my sister and six of my seven aunts are nurses – so I think the profession chose me! When I came to the UK there were opportunities in care homes and I fell in love with elderly care. Everyone has a story to tell, and it is our duty to listen to these stories and ensure our residents are heard. I believe I know what good care looks like and I am driven to deliver it for every resident. I have had many good mentors throughout my career; the training prospects and mentorship were big reasons that drew me to Barchester. I have had some great career advice and guidance since being here. And, of course, I still get to be a hands-on nurse when I want to be. Once a nurse, always a nurse! When you receive so much, you feel like you have to find ways to give back. Mentoring was so valuable to me that I take extra special care to mentor my own teams to the best of my ability. And of course, I’m always making sure my homes have everything they need and that we are providing the high quality of care our residents deserve. ← Nicki feels the need for speed!